As the Queen becomes the longest serving monarch in British history, special events are being held in Northern Ireland celebrating her reign. On Wednesday evening, Queen Elizabeth II will surpass the record set by her great-great-grandmother Queen Victoria, who reigned for 63 years and 216 days. A special church service will be held at St Anne's Cathedral, Belfast. In the east of the city, the Orange Order is marking the milestone with an exhibition of royal memorabilia. Its Grand Master, Edward Stevenson, said: "Since ascending the throne 63 years ago, Her Majesty has seen great changes in society and major events unfold across the world. "In all of these changes she has remained a constant focus for the nation. Her leadership has been outstanding, and her commitment and dedication incomparable." The temporary exhibition is being held at the Grand Orange Lodge of Ireland's headquarters, Schomberg House, and will include a collection of photographs, postcards, keepsakes and other memorabilia relating to the Queen's reign. The Church of Ireland's Archbishop of Armagh, the Most Reverend Dr Richard Clarke, congratulated the Queen on reaching the milestone. "In the company of many other members of the Church of Ireland, I wish to extend congratulations and best wishes to the Queen on the landmark achievement of becoming the United Kingdom's longest-reigning monarch on Wednesday," he said. 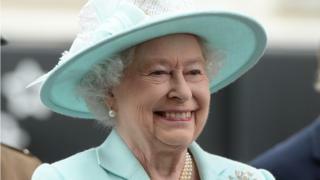 "In marking this moment, it is an appropriate opportunity to express gratitude to the Queen for her faithful life of service and for her dedicated witness to the Christian faith throughout her long reign." The Evensong service at St Anne's Cathedral is due to begin at 17:30 BST and the Lord Lieutenant of Belfast, Fionnuala Jay-O'Boyle, is among those expected to attend.